Vander Berg Homes is an Independent Stratford Homes Builder, constructing high-quality, custom “stick-built” modular homes. The owners of Vander Berg Homes will personally assist you from your initial inquiry, to floor planning, to the finishing touches on your new home. So, whether your perfect home calls for a ranch style, tri-level, two-story, or cottage-style home, we can build your home the way you want it, to fit your lifestyle. You’ll also appreciate the superior fixtures, materials, and products we’ll use to build your home – nothing but the highest quality windows, doors, and cabinets are used! All Stratford Homes are built to your custom specifications in an indoor, environmentally-controlled atmosphere, which reduces weather delays as well as the chances of having the outside elements affect your home’s construction and building materials. Each of our Stratford Homes is backed by a manufacturer’s one-year limited warranty covering defects in material and workmanship, and a 10-year insured limited warranty against loss resulting from major structural defects. Overall, it will take 3 to 4 months from the time you order your new home until we have it set on your site. This turnaround is much faster than traditional methods of home construction! 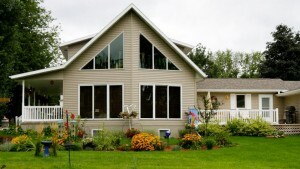 Take a look at the standard features, optional features, and Stratford Home Styles.